iVantage Healthcare Analytics works to help healthcare organizations deliver high-quality care while saving money. This company offers its clients the confidence they need to make informed strategic decisions by providing comprehensive and accurate business intelligence. iVantage works with a highly talented team of advisors and a completely integrated platform to help for strategic planning, payment optimization and performance benchmarking. 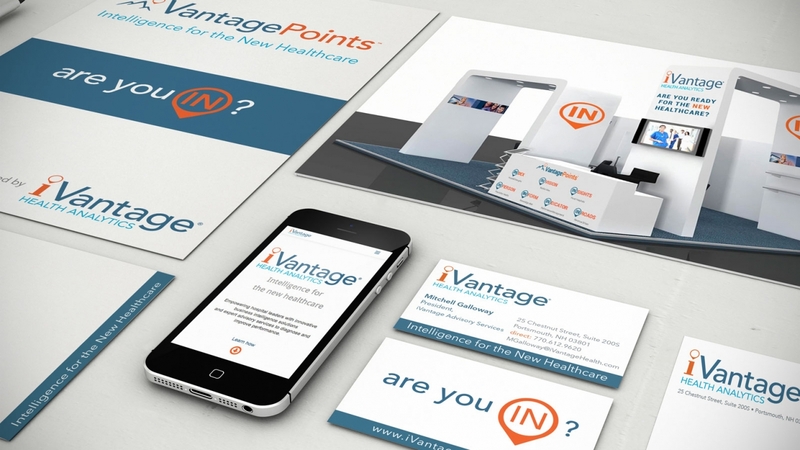 iVantage asked Bonneville Consulting to rebrand the company’s identity, come up with a name/identity for their centralized platform (VantagePoints) and as well as design elements that would translate across all aspects of their collateral from the web to mobile to print.